I ordered the Comphrensive packet from you and both the state and the Joint Commission gave it high scores; Kudos to you. It saved me a tremendous amount of time. The Joint Commission finally left this afternoon. WE PASSED!!! Thanks again for all of your help. 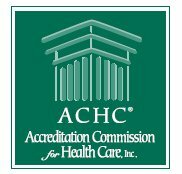 We have the documents you need to succeed with the Accreditation Process!